Walkers have felt at home in the land of the Hermann for much longer than in other regions. 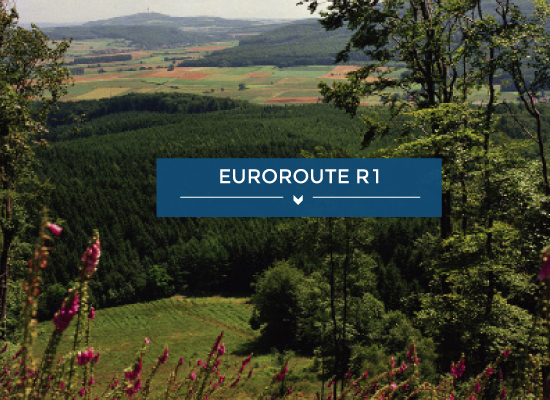 After all, here in the heart of the walking region Teutoburg Forest/Eggegebirge is where Europe’s first long-distance routes meet: The E1 and R1. Since 2016 the walking heart of Europe beats even stronger. We have developed this unique intersection directly at the Externsteine from where walkers are able to start their journey to all corners of Europe by bike or on foot. An installation will also give the location an additional symbolic appeal. It is intended to stand for the uniting effect of walking across Europe and continue to grow – just like our paths and our coexistence. You can find the European walking intersection close to the Inselwiese between the Hermann monument and historic old town. This is where Europe’s first long-distance trails meet. At its only intersection point, you can travel via the E1 to the most northerly parts of the European mainland, to the North Cape or the Italian city of Salerno. Via the R1 you can get to Boulogne-Sur-Mer or Calais in the west or St. Petersburg in the east. 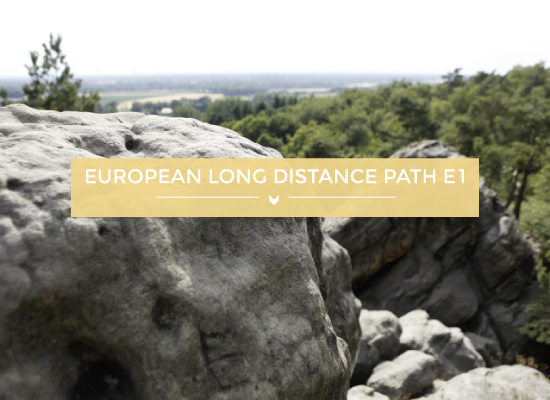 The long-distance trail E1 runs over 7000 kilometres lengthways across Europe. It links seven European countries: Norway, Finland, Sweden, Denmark, Germany, Switzerland and Italy. The European cycle path R1 is around half as long at 3600km. East and West are brought closer together here across nine countries: France, Belgium, the Netherlands, Germany, Poland, Lithuania, Latvia, Estonia and Russia. The E1|R1 Photo Award is the first international photo contest for hikers, cyclists, amateur and professional photographers. In the spotlight are two long-distance trails, each of which crosses Europe: the European long-distance hiking trail E1 runs from north to south, and the European bicycle route R1 runs from west to east. Both amateur and professional photographers are invited to take part in two separate contests by submitting the most beautiful and spectacular shots taken from or in proximity to the two European long-distance trails. Prizes worth around € 50,000 are waiting to reward the winners. Set off on one trail or the other this season and capture the most beautiful subject and scenes! Submissions are open from 1 December 2017 until 31 March 2018.